Canon Medical Systems recently replaced another manufacturer’s CT scanner at Kettering General Hospital NHS Foundation Trust with a state-of-the-art Aquilion Prime SP 160 CT system. In addition, the company supplied a software upgrade for a first-generation Aquilion PRIME CT scanner, installed in 2012. The upgrade brings the original scanner into line with the functionality of the newly-delivered system. 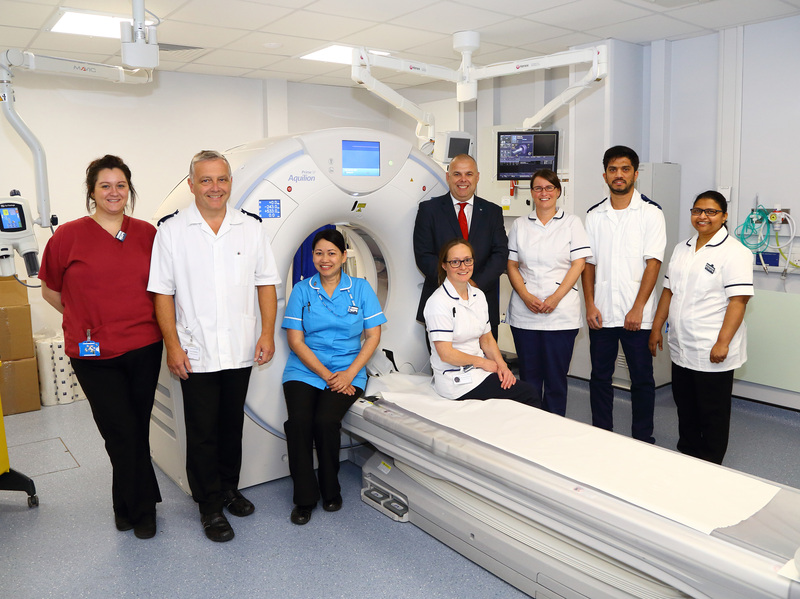 The new scanner is equipped with the latest technology, including three phase Variable Helical Parameters (vHP), and offers fast patient throughput, together with robust cardiac scanning and new diagnostic capabilities. In fulfilling the contract, Canon undertook a complete turnkey solution, to expand the hospital’s CT area and also to refurbish the CT examination and control rooms. The new scanner came with Canon’s tried and tested software packages, SURECardio, and SURESubtraction Head and Neck, Lung and Ortho. It was also delivered with the company’s latest bariatric couch with Tech Assist Lateral slide technology to ensure safety and comfort. In addition, a Vitrea Enterprise system upgrade was provided, offering advanced visualisation solutions for Aquilion CT scanners.